I'm back! Did you miss me? I hope all is well with you and your webcomic project(s). I made an executive decision back in May to move some of our webcomics from Champion City Comics to Tapastic, a site that hosts webcomics. In the past we had posted some of our webcomics to DrunkDuck, another site that hosts webcomics, and DrunkDuck gave us more exposure than our Champion City Comics page, which was nice but also somewhat frustrating. It was my goal from day one to get people to stop by Champion City Comics to read our webcomics. All of our titles are posted as embedded PDF files, and that has been the number one complaint from some readers. They did not like scrolling down an embedded PDF to read a webcomic, but I have provided tips on how to read our titles in a comic book format, which is better than scrolling. Somehow those tips were overlooked by the complainers. Zoinks! Why did we move to Tapastic? We had success at DrunkDuck, but I wanted to try Tapastic because it was the new hotness in webcomics hosting. Also, I forgot my password at DrunkDuck and when I hit the FORGOT PASSWORD link at their site the page turns into a mess of HTML code. I clicked the link to email DrunkDuck directly and I have been waiting for MONTHS for DrunkDuck to respond to my emails for assistance. Thanks. The first comic I posted at Tapastic was The Red Devil, which was our most popular title at DrunkDuck. The Red Devil has been at Tapastic since May 8th and has earned roughly 1,230 pageviews. We are gaining a following and our fans should be pleased to know that we are developing two more stories for The Red Devil. Tapastic like DrunkDuck is very friendly to webcomic producers. Tapastic did reach out to me to join their Facebook page for webcomics creators, which has been a great experience. Tapastic like DrunkDuck has a great layout for webcomics, so they are easy to navigate. Take that, embedded PDF haters! My Tapastic experience has been going well and am in the process of adding three more webcomics to the site. If you are a webcomics creator looking for a site to host your work then look no further than Tapastic. 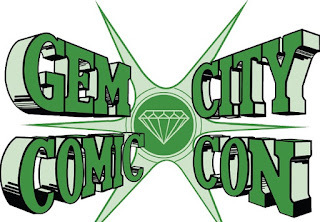 TonyDoug Wright is the owner and head writer at Champion City Comics.